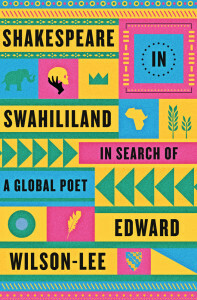 Shakespeare in Swahililand is a valuable addition to one’s Shakespeare collection, for it reveals in a delightful and insightful manner the global reach of Shakespeare’s work. Like the worlds Shakespeare created, “Swahililand” does not exist; it is a construct to enable the author to support his thesis. Kenya, Tanzania, and Uganda, plus parts of Congo, Malawi, and Sudan where Arab traders brought the pan-East African trading language Swahili constitute the realm of this interesting and informative book that produces a socio-political and historical perspective on the forces that shaped this area of Africa. Edward Wilson-Lee seeks and provides answers to three basic questions. How did William Shakespeare become “an indispensable bit of safari kit” in the 19th Century? How does his work retain its power wherever it goes, and in whatever language it appears? Does his work point beyond the ascertaining of power and prestige toward a shared humanity? One can find Shakespeare throughout the world, for his is a universal language. I remember seeing a dark and foreboding film of Hamlet at the Soviet Embassy in Bangkok in 1971. Our everyday language is sprinkled with familiar quotations (often misquoted) that form an instant bond between speaker and listener. Wilson-Lee travels his imagined country, stopping in various places to explore both past and present. “The Lake Regions” discusses Shakespeare and the early explorers while “Zanzibar” explores the role of slavery in the region. In “Kampala,” he finds the Bard at school, at war, and in prison, using the seven ages of man speech from As You Like It as the hook on which the chapter hangs. “Addis Ababa” employs a quote from Richard II on the death of kings to write about the history of Ethiopia and its Christian church and the rise and fall of an increasingly impotent and eccentric Haile Selassie, the Lion of Judah. Sir Richard Burton took Shakespeare and Euclid on his expedition with John Speke, and they read his “scanty library…again and again.” Burton’s accounts are filled with quotations from Shakespeare that elucidate either a place or a local saying. He even used Shakespeare to explain the ultimate falling out between the two explorers. Later travelers, Teddy Roosevelt being a prime example, also took their Shakespeare with them. By the early 20th Century, as more expats moved to the continent and formed communities and schools, Shakespeare began to take hold among the local population. Schools that were formed for locals were based on the European models familiar to the white settlers, and that meant teaching the English canon. 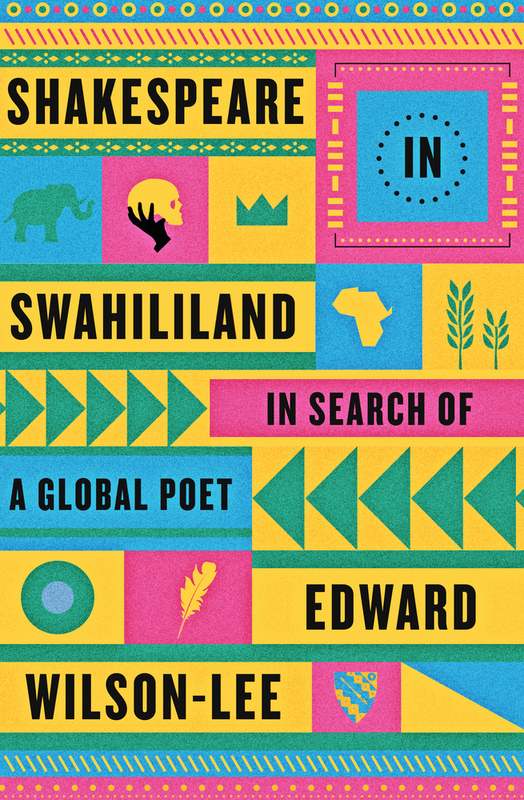 Wilson-Lee was raised in Kenya and has continued to travel extensively throughout Africa, which has enabled him to draw on a multitude of personal encounters with Shakespeare in Swahililand. Learning that one of the first books printed in Swahili in 1860 was a translation of Charles and Mary Lamb’s Tales from Shakespeare inspired research into how and why that translation came about and led ultimately to the present volume. He teaches literature at Cambridge.